January 12th, 2017 - General Principal Xin Ying accompanied Chairman Feng Hailiang to attend the signing ceremony for the acquisition of both, Xinchang Nanri Experimental School, and Zhejiang Xinchang County Caichun Construction Engineering Co., Ltd.
June 20th, 2016 - Hailiang Education Group Inc. announced that its affiliate, Zhejiang Hailiang Education Group Ltd. has signed an agreement to acquire 80% of the equity interests in Xiantao No.1 Middle School in Hubei province, China, for a total consideration of RMB 224 million. 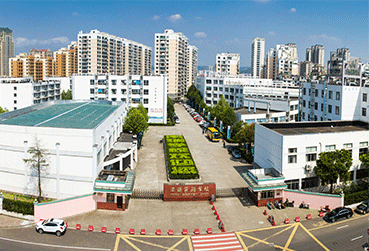 The Company has entered into a framework agreement with Zhejiang Hailiang to provide educational services for the School, including, but not limited to, course program development, faculty training, education facilities and equipment maintenance, and market development. 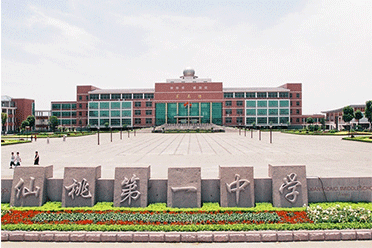 September 9th, 2015 - Hailiang Education Group Inc. announced the opening of Hailiang Educational Park, its new campus located in Zhuji, Zhejiang Province. Over 11,000 students and 900 teachers began classes on the new campus at the start of the school year on Monday, September 7, 2015. Hailiang Educational Park spans an area of approximately 850,000 square meters and has a gross floor area of approximately 550,000 square meters with a total of over RMB 2.6 Billion of investments. 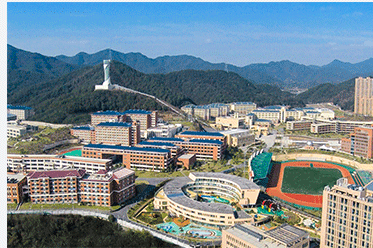 Hailiang Educational Park will provide a comprehensive range of basic educational programs ranging from kindergarten to high school and also includes the Company's renowned international program. 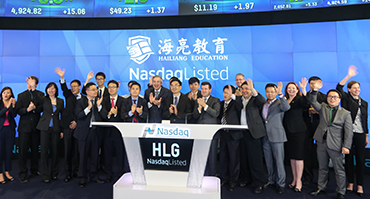 July 7th, 2015 - Hailiang Education Group Inc., the Yangtze River Delta's largest and the country's third largest private basic education group, was successfully listed and traded on the United States Nasdaq global market. Thus, the company officially became China's first basic education company listed in the United States. The company initially issued 2.858 million American depositary receipts (ADRs) , each American depositary receipt is equivalent to 16 shares of common stocks, raised a total of about US$20 million.